Above: Children play at the Druid Hill Park municipal pool last August. 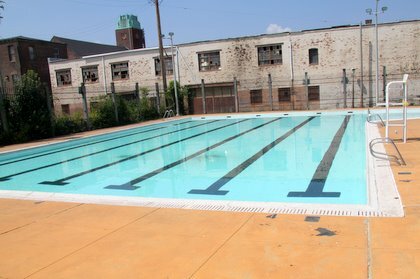 With city and community leaders scrambling to find recreational resources for young people following Baltimore’s recent unrest, it seems like an ideal time to expand the public pool schedule. But for now at least, that is not happening. “The pools will be open for the same number of days” they were last year, said Recreation and Parks Department spokeswoman Arli Lima. That was not the original plan. Walk-to pools were supposed to be closed on Sundays this summer, but Rec and Parks has changed its mind. “Our first priority is to service the community, and we decided to open on Sundays, 1-4 p.m.,” Lima said. As it stands, walk-to pools will close on August 16 – nine days before city students return to class on August 25. 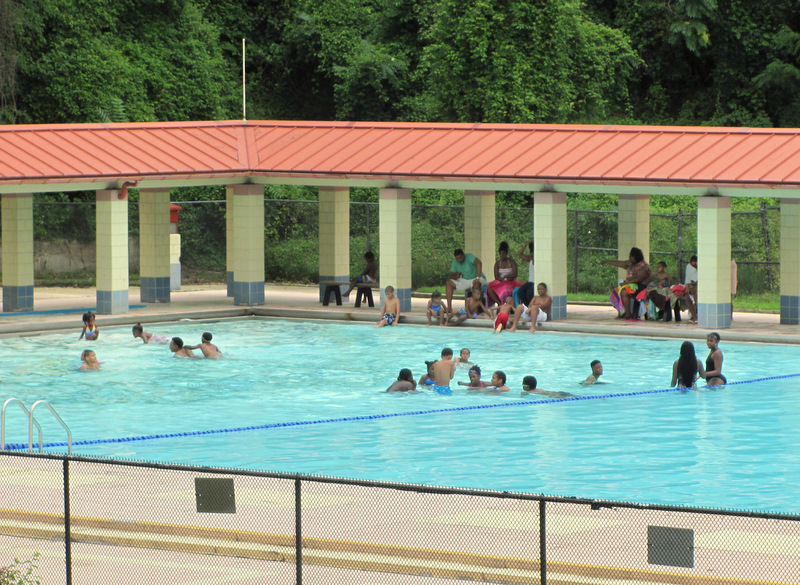 The city’s six larger park pools (Cherry Hill, Clifton, Druid Hill, Patterson, Riverside and Roosevelt) will remain open beyond August 16 – but on weekends only – through Labor Day. Budget documents project that only 250,000 people will visit the city’s outdoor pools in the coming fiscal year (July 1, 2015 – June 30, 2016) due to what would have been reduced hours and one pool being closed for renovations. The number of visitors in fiscal 2015 was estimated at 300,000. More than 340,000 people used the city’s outdoor pools the previous year. At a budget hearing last week, Recreation and Parks director Ernest W. Burkeen Jr. was asked if the city’s summer pool schedule could be extended in light of the April 27 riot, which was partially sparked by student unrest. After the hearing, Burkeen told The Brew that attendance at neighborhood walk-to pools wanes considerably when fall sports start up. “Sometimes we have more lifeguards at the pools than kids,” he said. Burkeen’s answer illustrates the steep price Rec and Parks pays to run the city’s aging pools, some of which date back to the 1950s and 1960s. Agency documents note that admission fees covered only about 15% of operating costs in 2011. Admission to one of the city’s comparatively newer park pools is $2, but the visit actually costs the city $8; whereas a visit to one of the city’s 13 mostly older walk-to pools costs residents $1, but the city spends closer to $18 because of outdated facilities. City pools also hire police officers every year. Rec and Parks is still in negotiations with the Baltimore Police Department, but it estimates that it will pay about $120,000 for officers during this pool season. Carl Stokes, chairman of the City Council’s Recreation and Parks Committee, said in an interview yesterday that he supports pools being open longer and later – if people will use them. He said Rec and Parks should do more outreach so that parents and teenagers know what services are available to them and consider extending hours and service at pools with the highest attendance. Stokes said he has had to fight the Rawlings-Blake administration to keep pools open in his district, which covers the inner Eastside and Greenmount Avenue corridor. “I have Ambrose Kennedy, which gets a lot of use. We lost Oliver,” he said, referring to the now derelict pool at Harford Road and Lanvale Street in the Oliver neighborhood. 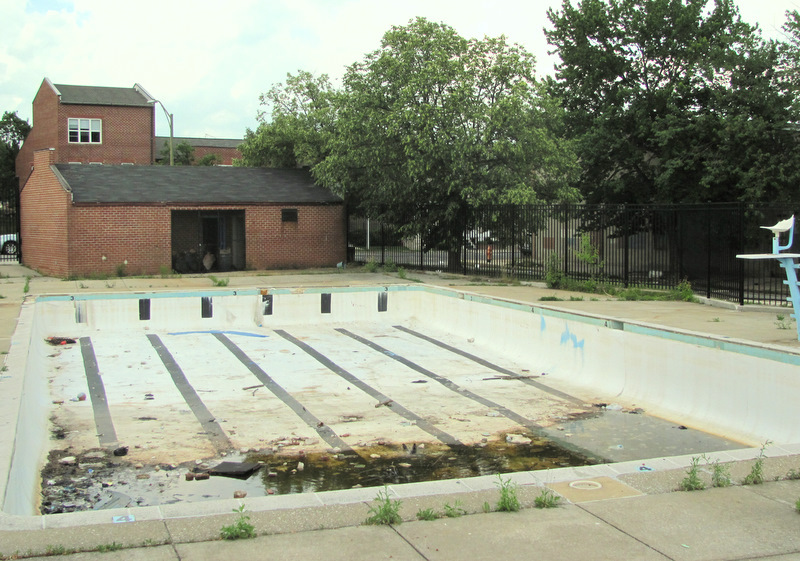 Located on Ensor Street, Ambrose Kennedy “was one of the pools the mayor was going to close five years ago,” Stokes noted, along with closing or privatizing a dozen recreation centers.